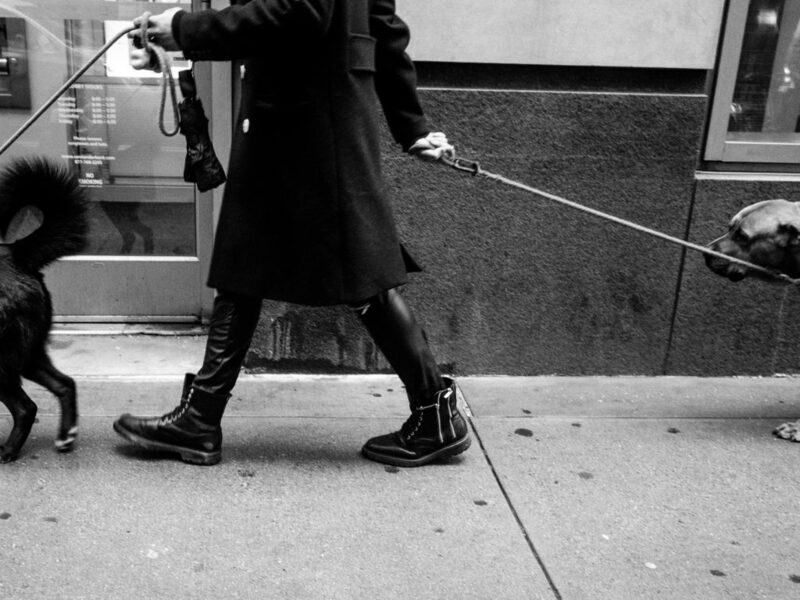 He once said the stock market was like a man walking his dog in New York City. The walk was always the same: start at Columbus Circle, stroll through Central Park, and end at the Metropolitan Museum of Art. If you’ve walked a dog you know they never walk a straight line. They go forward then backward, stop to smell this thing and that thing, jump up randomly on park benches, bark at other furry and feathered creatures. There’s absolutely no predicting where they’re heading next. It’s never been easier to pay attention to day-to-day market fluctuations. Nearly everyone has real-time access to financial data. Yet the fact remains the market goes up every single year, because huge gains some years cover losses in others. Since 1900 we’ve experienced countless economic booms and busts. Witnessed disease outbreaks, natural disasters, military and trade wars. Dealt with periods of high inflation and low inflation. The list goes on. And through all these macroeconomic events the U.S. market still returned 9.4% per year. That’s pretty amazing. That’s what would’ve happened if you started investing in January 2007, right before the Great Recession. No one wants to watch their investments drop by 40%, but even if you’re getting in at the worst possible time the evidence suggests you still do well. The key? Time in the market, not market timing. To say that another way, in order to achieve the long-term returns of the market you have to be a long-term investor. This seems so basic it’s almost silly, although investors are always getting out of the market at the first sign of trouble. That’s how markets work though. If they never fell they’d get expensive, and if they’re expensive they wouldn’t offer good returns. Of course, no one can forecast the future. The next decade or so might mean lower returns. John Bogle, In The Little Book of Common Sense Investing, did a little back-of-the-napkin calculation: a dividend yield of 2%, plus earnings growth of 4%, minus 2% for a market revaluation. So, yeah, maybe a 4% return. Maybe not. Claims are seldom accurate. And that’s why investing is overwhelmingly a game of doing nothing. You take the good returns, the mediocre, and the bad. You focus on making sure your portfolio is invested the best way it possibly can be going forward, and let market volatility shake out short-term investors so you enjoy superior long-term returns. After all, the market goes up every year. And I think what makes this all easier, what’s made it easier for me, is simply becoming an optimist. All I know is growing up it was normal to live in a constant state of fear. Not hiking-in-the-mountains-see-a-rattlesnake fear, but this irrational fear that everything is gloomy and getting worse. It’s almost a leap of faith to believe the future will be as good as the past, if not better. What helps is getting rid of cable TV, quitting news consumption, and weaning yourself off social media. You feel like a luddite reading physical books and using your phone only for calls and messaging. Everyone asks why you’re cutting yourself off from humanity, but what you’re really doing is gaining a clearer, calmer view of the world. You understand the market is completely unpredictable — a dog on a leash — but by hitching yourself to the stock of American business you’re heading in the right direction.